Blue Moves will fill the Riverfront Park with tunes from Elton John, The Beatles, Billy Joel, and more. POINT PLEASANT — The Riverfront Park will be filled with sounds of rhythm and blues, jazz, rock, and country when Blue Moves takes the stage on Friday evening. With the series going into its last month, Mayor’s Night Out will held this Friday, 8 p.m. at the Riverfront Park Stage. 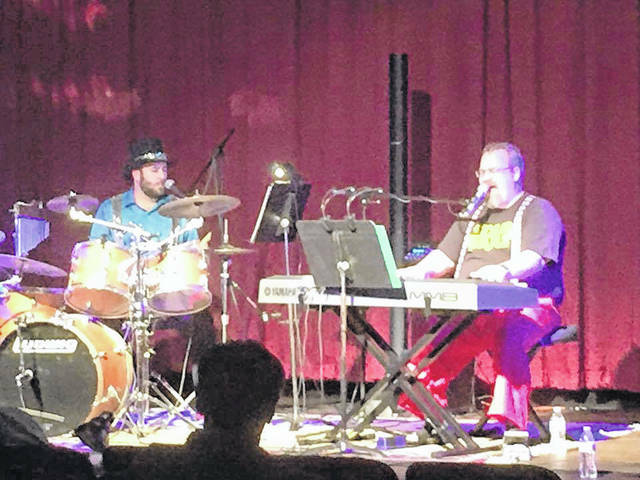 Blue Moves performs covers, primarily selections of Elton John, but also selections from The Beatles, Billy Joel, and more. During the Mason County Fair, Mayor’s Night Out will take a hiatus for a weekend as the fair will offer nights filled entertainment for individuals to enjoy. On Aug. 17, Mayor’s Night Out will resume with Cee-Cee Miller taking the stage. Miller plays venues from Columbus, Ohio to Parkersburg to Huntington and all points in-between. Miller says she has a constantly growing repertoire and her goal is to become one of the most requested West Virginia singers there is. “I’d love for my name to be the first name that comes to mind when someone thinks of the best West Virginia musicians to hire for fairs, festivals, private parties and more,” she said via her website. Rounding out the Mayor’s Night Out series, Karen Allen, will take the stage on Aug. 31. Alongside legendary performer/producer Ken Stringfellow (The Posies, R.E.M., Big Star), she is currently at work on her solo album. Stringfellow says Karen is “…a wonderful singer whose songs have a touching approach and stunningly beautiful economy.” She began her music journey during the alternative/grunge of the 90’s forming the band Crazy Jane. The band recorded and toured in support of three albums, performed at the legendary CBGBs (NYC), NPR’s Mountain Stage Radio, NXNE Music Festival (Toronto) to name a few and alongside acts such as They Might Be Giants, Violent Femmes, Donna the Buffalo, Julian Lennon, and Robyn Hitchcock. Allen’s new album is a culmination of a life beset with heartbreak and extraordinary experiences. From honest provocative lyrics to moody atmospheric swirls and textures to unforgettable melodies, she embraces her power and prowess as a musician to deliver her best work yet. Expect unique, alternative songs, as well as pop and rock hits. https://www.mydailysentinel.com/wp-content/uploads/sites/14/2018/07/web1_0801.BluesMoves.jpgBlue Moves will fill the Riverfront Park with tunes from Elton John, The Beatles, Billy Joel, and more.